I added the practice of Pilates to my life last May and shortly thereafter enrolled in the Club Pilates Teacher Training as I work towards becoming a certified Pilates Instructor. 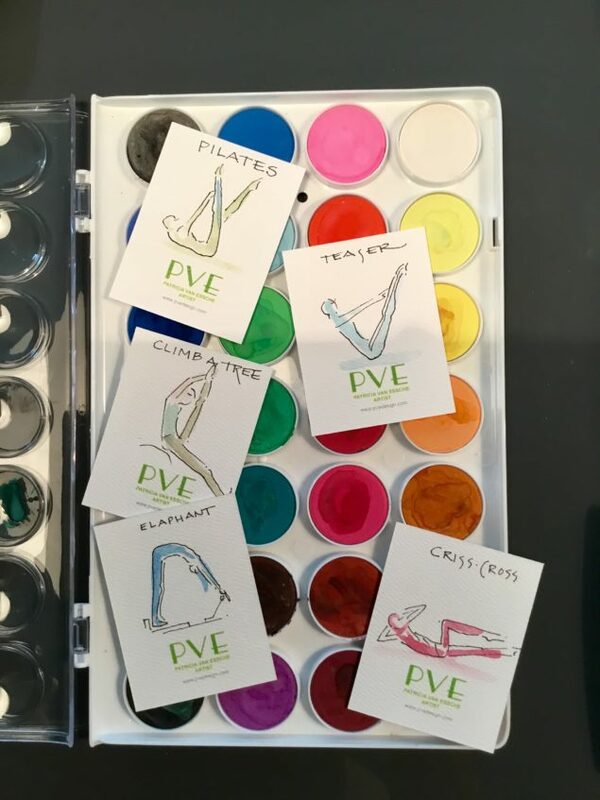 As an artist, (I) or we as a population spend much of our time sitting so by adding Pilates to my life, I have increased my level of motion and in doing so the positive results are proof that this is one of the best lifestyle choices I have made. Each of us have choices to make and plenty of excuses get in the way of delaying of truly putting our health first. Life is busy and suddenly we find ourself overwhelmed and out of shape because we did not make moving a priority. The weight creeps on and it becomes a downward negative spiral but with a scheduled Pilates practice, we can meet our goals with positive results. Our world bombards us with rampant negativity, creating anxiety and depression but we can be the change by looking for our own radiant abundance within. Pilates has shown me that the art of movement is directly correlated to my own art and creative expression. When we are happy, our life and our own body image become aligned with our authentic self. Visualize your body, mind and soul being fed what it craves and give yourself permission to pause. Once we take that time out to really reflect and develop a vision and a plan, it is then that we start to better ourselves towards our image desired. Perhaps you desire a slimmer more toned body or you want to be stronger, more flexible and improve your posture. The goal you have can be achieved by developing a regimen and practice. Nutrition and Exercise are the keys to create your best body but without a plan, one quickly realizes that one cannot live a “all or nothing” lifestyle. It takes commitment and courage to start a practice however the positive benefits will reveal themselves with dedication and consistency. Learning pilates has taught me the importance of total body workouts and how we move throughout our day can be improved. If you are thinking of adding Pilates to your life, I would be honored to teach you. Like anything, it takes practice to master the levels but the learning is incredibly life changing. Positive results through a personalized practice and a series of key movements will bring you closer to achieving your own best self. Give yourself permission to pause and start taking care of your self. What are you waiting for?